You can view Kintaikyo in live with Live-cam. Please enjoy the beauty of the bridge and its surrounding sceneries in all four seasons. 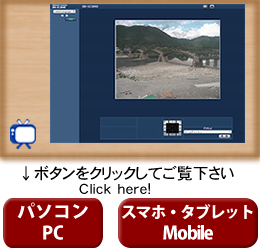 ・Maximum number of access to view this Live-cam is 30 at one time. ・For the protection of privacy, zoom and tilt functions are restricted. ・Viewing is subject to interruption due to server maintenance. 〒740-8585 山口県岩国市今津町一丁目14番51号　TEL/0827-29-5107　Copyright （C） Iwakuni City All rights reserved.